In chaos theory, the butterfly effect is the sensitive dependency on initial conditions in which a small change at one place in a deterministic nonlinear system can result in large differences in a later state. Can you link salt to butterfly ???? Vedaranyam is a town in Nagapattinam district in Tamil Nadu. The town is named after the presiding deity of the Vedaranyeswarar Temple. The recorded history of Vedaranyam is known from medieval Chola period of the 9th century and has been ruled, at different times, by the Medieval Cholas, Later Cholas, Later Pandyas, Vijayanagar Empire and the British. Salt is a mineral substance composed primarily of sodium chloride (NaCl), a chemical compound belonging to the larger class of ionic salts; salt in its natural form as a crystalline mineral is known as rock salt or halite. Salt is present in vast quantities in the sea where it is the main mineral constituent, with the open ocean having about 35 grams (1.2 oz) of solids per litre, a salinity of 3.5%. Salt is essential for animal life, and saltiness is one of the basic human tastes. Salt is one of the oldest and most ubiquitous of food seasonings, andsalting is an important method of food preservation. 84 years ago, the journey from Trichinopoly (Trichy)ending in Vedaranyam played a great part in our freedom struggle… it was the salt satyagraha or taking out salt directly from the sea- the marchers broke the salt law. 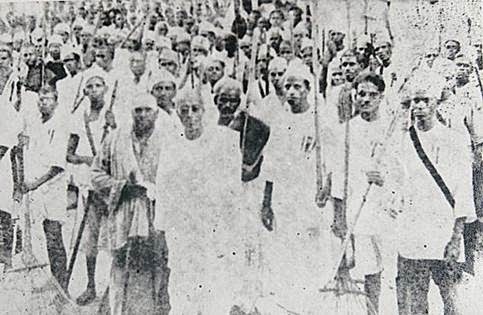 Dandi March of Gandhi is famous and down South the campaign occurred at Vedaranyam led by Rajaji. It ended on 28 April 1930 when the participants were arrested, following which Rajaji was imprisoned for six months. Do You Sardar Vedaratnam Pillai ? - Sardar is a title of Persian origin – Sar would mean head while dar means holder. Sardar is a title in use for Indian Princes, noblemen and aristocrats. Sardar Vedaratnam Pillai (1897 - 1961) was a great patriot and freedom-fighter. He was a leader of the Indian National Congress and a famous philanthropist who served as a MLA for three terms over a period of 14 years. He is known for his heroic contributions in the salt march of Vedaranyam in 1930, alongside C. Rajagopalachari. In the year 1931 Vedaratnam was conferred with the title of ‘Sardar’ at the meeting of the Tamil Nadu Agriculturists and labourers at Tirunelveli, for his exploits in the Vedaranyam Salt March. Remember that in our younger days, we used to buy salt in crystal form – there used to be gunny bag containing salt outside every grocery store… now check in your kitchen whether such salt exists … no – you find ‘free-flowing iodised salt’ packet…. Iodised salt is table salt mixed with a minute amount of various salts of the element iodine. Suddenly came the campaign that ingestion of iodide prevents iodine deficiency. It was widely advertised that Worldwide, iodine deficiency affects about two billion people and is the leading preventable cause of intellectual and developmental disabilities ! …. Slowly marginal players were driven out of the market by big Private firms which now sell iodised salt only. Interestingly India today reports that the shift in Kashmir from rock salt of Pakistan to iodised salt, had resulted in remarkable reduction in iodine deficiency among schoolchildren of the Valley. Back home in our State, Tamilnadu Salt Corporation is a fully owned enterprise of the Government of Tamil Nadu, established during 1974 at Valinokkam. Salt is cultivated in an area of 5524 acres of land and the project is called Mariyur Valinokkam Salt complex (MVSC). 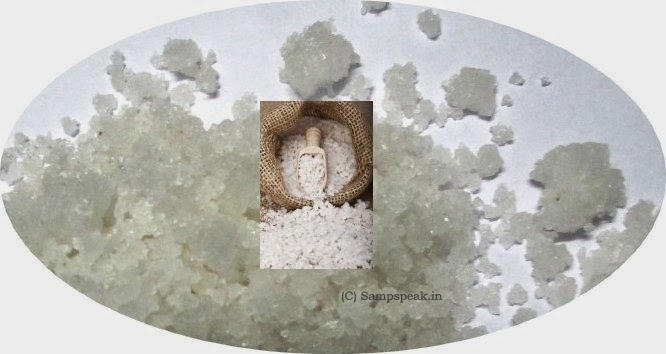 Salt is in news thanks to Amma’s announcement ………. after low-cost canteens and drinking water, the Jayalalithaa government in Tamil Nadu is launching "Amma Salt" on Wednesday. Chief minister Jayalalithaa will inaugurate the sale of the "Amma Salt", a product of TNSC under the State Industries Department, according to an advertisement released by the government on Tuesday. The salt would be available in three varieties — double fortified, refined free flow iodized and low sodium, the release says. With "Amma Canteen" offering tiffin and lunch at low cost and "Amma Water," packaged drinking water costing Rs 10 per one litre bottle being big hits, the TNSC – ‘amma salt’ also is likely to be a super hit. 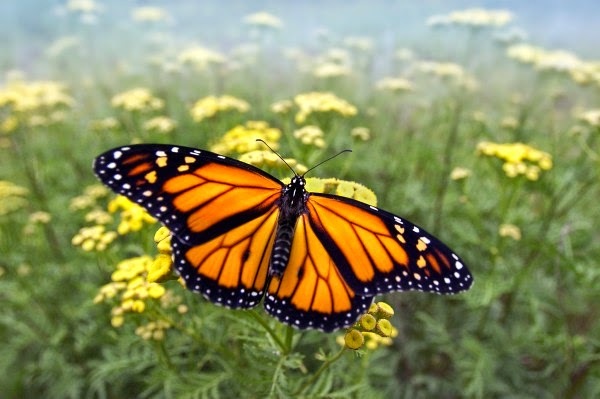 Road salt used to clear snow-covered roads in the United States is creating beefier monarch butterflies, a new study in National Geographic says. When snow melts, road salt runs into nearby soil and into the roots of common plants, which are in turn ingested by caterpillars. Then, as they become adult butterflies, their brains and muscles develop abnormally: The females develop larger eyes and brains, and males develop more muscle. …………. Sounds interesting. Our Independent Kolkata Escorts directing are the best in Category and Can provide you with the downing you have never experienced. When they hug you, your entire whole body will suffocate in the substance of their mouth and you will ignore every else aside from them.